The unique, patented principle of operation the new internationally patented torusmill dispersion system enables the whole dispersion process to be economically completed on o n e machine. This innovation intelligently combines proven high speed dispersion technology with a basket mill system. Polymers and plastics are notoriously difficult to quality assure.To fully characterise and check a polymer usually requires advanced analytical techniques and a skilled material scientist. Typically, simple tests such as a melt flow index are employed but really do not provide a holistic assessment of the material. Vacuum systems are portable and designed for use in locations such as sandy or rocky beach areas, ditches, marshlands, etc. and can be equipped with an optional pressure washer. Dispersant spray systems are used when mechanical recovery is either unavailable or needs to be complemented with chemical dispersant. Although capacity is expanding throughout the network, mobile backhaul is where growth is occurring the fastest. Mobile backhaul refers to the part of the network that connects the cell site base stations (also called baseband unit or EnodeB) to the metro network. It combines three important parameters i.e. demixing, stability, separation along with particle size measurement. The stability, shelf life of suspension, formulation , new formulation can be determined by this instrument. 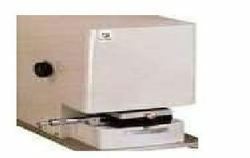 Ideal for pharmaceutical biotechnology, food, ink, paints, dyes etc. field. Designed for gentle treatment of fibre at high consistency and temperature, ensure optimum development of fibre and dispersion of contaminants in microns. Improves aesthetic look of paper.